Cairsea Services Ltd. provides all customs brokerage, freight handling and delivery services in Providenciales and other islands of the Turks & Caicos. Owned and operated exclusively by island belongers, we have been in the same business for over twenty years. 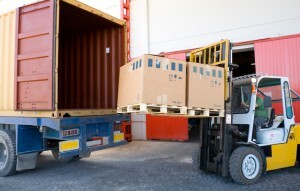 We are the only freight agents with a customs bonded warehouse on the airport. This means we can settle the customs and freight charges and clear your goods to you as soon as they arrive – you don’t have to spend all day dealing with a mass of paperwork and several different offices and government departments! For your ocean freight, we can we can strip refrigerated or dry containers and deliver their contents to you shortly after arrival. We can prepare your incoming vehicle for very quick delivery – we submit the customs entry, pay the government licensing fees, fill the tank, wash off salt and dirt gathered in transit and check for any damage. Other services include development order imports, specialist and catalog orders, package delivery and, through our contacts overseas, though-shipment of goods from anywhere.